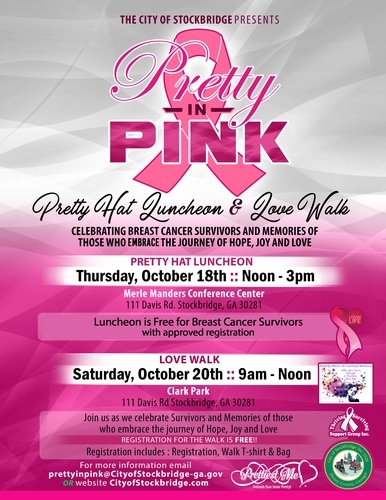 The City of Stockbridge is happy to announce the date for the Pretty in Pink Breast Cancer Awareness Luncheon. We will host the event on Thursday October 18th, 2018 at the Merle Manders Conference Center. Come celebrate the brave survivors and honor the victims of this tragic disease. Merle Manders Conference Center "Ballroom"